Shape your world – now, and for the future. Help the CFV to increase its grant making work in the Verdugos and donate to the Unrestricted Fund! 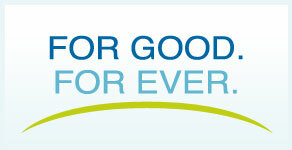 Our donor-advised funds allow you to guide your philanthropy. Leave the paperwork and compliance to us. Together, we can make a bigger impact in our community. Application and Grant Guidelines are available now! CFV Annual Meeting: One Starfish – Countless Ripples…Resilience! Starfish and Resilience? They are closer than you think! For those who attended the Community Foundation of the Verdugos’ annual meeting, “One Starfish – Countless Ripples … Resilience!”, they surprisingly learned that when a starfish is cut in half, or loses a limb, everything grows back. Now that’s resilience for you, shared keynote speaker Douglas C. Nies, Ph.D. The Dellinger Scholarship Fund raises money to support outstanding Burbank Unified School District graduates who value education, demonstrate a high level of academic achievement, engage in community service, and emulate the generous spirit of Judith and Ernest Dellinger. 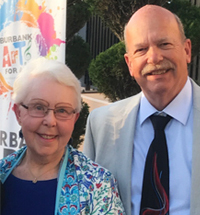 The Dellingers are active members of the Burbank community whose kindness and compassion over the years has inspired others to create this scholarship fund in their honor. Take a look into our Community! Since 1956, our fund management professionals have helped donor funds grow and make a bigger impact, while relieving donors like you of burdensome regulations and compliance issues. Your information will not be sold or shared with any other organization.